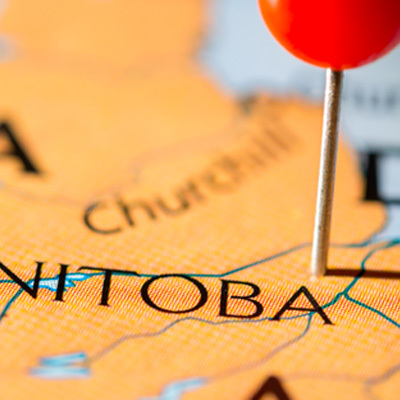 Manitoba has invited 176 new Skilled Workers and issued them with a Letter of Advice to Apply (LAA) in the Manitoba Provincial Nominee Program (MPNP). Great news for immigrants hoping to migrate to Canada as skilled workers now. In a move that maintains the recent trend of immigration to the province, Manitoba has invited 176 new Skilled Workers and issued them with a Letter of Advice to Apply (LAA) in the Manitoba Provincial Nominee Program (MPNP). The latest draw that was conducted on October 28, 2016, saw 150 candidates receive LAAs in the Skilled Worker in Manitoba sub-category, many of the candidates each had 654 points in the MPNP ranking system. The 26 remaining LAAs were given to candidates in Skilled Workers Overseas sub-category who each were required to have at least 712 points and were directly invited by the MPNP under a special Strategic Recruitment Initiative. Recruitment missions. The overseas employment/immigration fairs involve MPNP representatives interviewing the foreign skilled workers and eventually inviting them to apply after they have made a formal Expression of Interest (EOI) to the MPNP. Exploratory visits. The MPNP may invite people who have received a pre-approved Exploratory Visit and passed an interview with a program official. The MPNP for Skilled Workers was created to help employers in the local industries to find foreign talent that will complement their workforce. The Manitoba government selects experienced workers who have made an Expression of interest in immigrating to the province and who have the skills needed in the local labor force, they are then nominated for provincial nomination certificate from the MPNP. When an individual receives the provincial nomination certificate they are then able to apply for permanent residency with the federal government. These immigration options are also very suitable for individuals who were deemed not be eligible for migration through the federal Express Entry immigration system because the eligibility requirements are different. In this MPNP sub-category, applications are accepted from foreign workers and international students who are currently working in Manitoba and have been offered a permanent job from an employer in Manitoba. The applications for these Skilled Workers are not evaluated through the points-based assessment to determine their eligibility. In this MPNP sub-category, those qualified skilled workers who reside outside Canada but have shown to have a strong connection to the region and its labor market. Assessment for this sub-category is done through a points-based system, and it uses factors such as age, language proficiency, work experience, and adaptability. Location: Located in Central Canada, Manitoba along with Ontario and Saskatchewan is considered one of the three “prairie” provinces. Economy: The main industries in Manitoba include mining, manufacturing, and agriculture. For a long time farming has been a major occupation for people of Manitoba, the vast farmlands in southern Manitoba produce wheat, barley, oats, sunflower, flax and various crops, as well as dairy and livestock farms. Climate: Manitoba is known to experience variations in temperature throughout the year, from cold snowy winters to typically hot and dry summers. The short transitional seasons make it possible for the province to experience all four seasons.